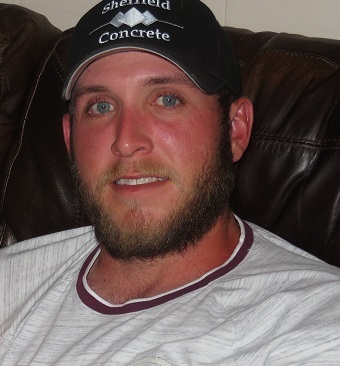 Asheboro- Ned Canoy Sheffield, 30, passed away Thursday, January 17, 2019. Born March 15, 1988, he is the son of Larry and Judy Robbins Sheffield. Ned attended Asheboro High School and later Randolph Community College. He was the Owner and Operator of Sheffield Concrete and enjoyed spending times with his sons. He is survived by his parents, his children, Brayden Eli Sheffield and Easton Isaiah Sheffield; his uncle, Edward Robbins (Silvia); his aunts, Sue Farmer (Terry), Kathy Tysinger (Rex), Donna Hoover (Stansel), Sue Sheffield, Linda Brannon (Robin), Bobbie Jean Freeman (Dexter), and Jerri Rouse. A memorial service will be held from 3-4pm, Tuesday, January 22, 2019 at Amity Hills Baptist, 4140 US Hwy 64W, Asheboro, NC 27205. Memorial services entrusted to Midstate Cremation & Funeral Service.